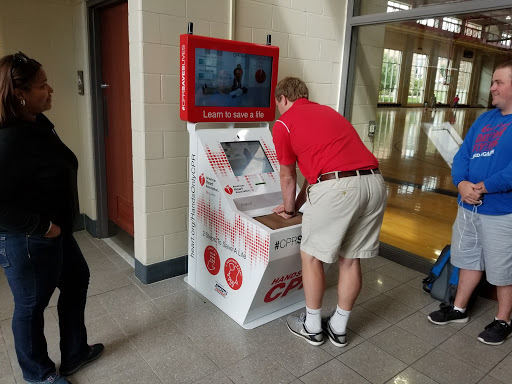 The American Heart Association (AHA) Hands-Only CPR Kiosk project is one of the most innovative and rewarding projects that DynaTouch is actively working on. These patient education kiosks are seriously saving lives and educating the public in a fun and engaging way! They are available in airports, museums, hospitals and an ever-expanding list of locations across the USA. If you see one, take five minutes to give it a try – you never know when it might come in handy! 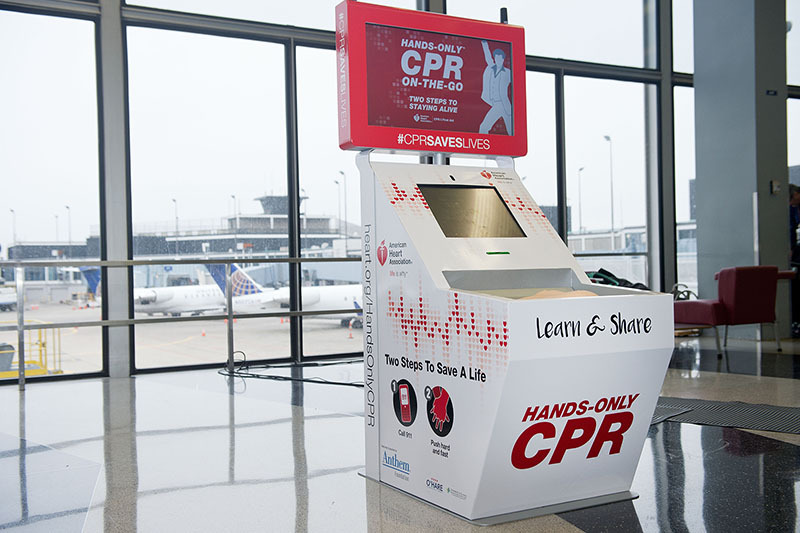 DynaTouch started helping AHA with the Hands-Only CPR Training Kiosk project in June of 2016. Since then, we have improved the kiosk enclosure design, enhanced the user interface, improved deployment procedures and support protocol, and helped expand the program by suppling/delivering/installing new kiosks in additional airports and other high-traffic locations. We also created an administrative portal that gives AHA the ability to view graphs and reports on national usage trends, as well as individual sessions and tests. The data collected from the kiosks helps gauge the success of the project at every kiosk location and provides valuable research data to AHA. DynaTouch provides fully-managed services to support the entire installed kiosk base, including remotely monitoring/updating the kiosks using our proprietary TIPS Kiosk Management Software, as well as antivirus and patch management support. This project is extremely important to DynaTouch and AHA has been great to work with. 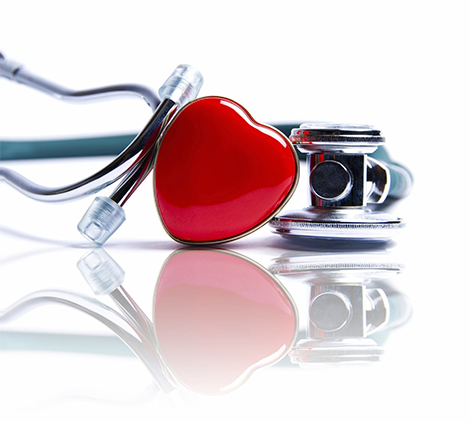 Learn about all of our patient education solutions. Hands-only CPR training kiosks are an exciting project to watch as these machines become accessible to the general public. More and more stories show how effective these training kiosks are – lives are being saved! In as little as 5 minutes, the kiosks provide life-saving information and a fun way to learn for all ages. The kiosks are available to the public and located in U.S. airports, convention centers, shopping malls and hospitals. DynaTouch can fulfill all of your Self-Service Patient Education requirements with our OneSource Solutions™ package, which includes all of the hardware, software, services and support needed for a fully-integrated, ready-to-run, turnkey system. Or, if you already have hardware or a preferred hardware vendor, just let us know!